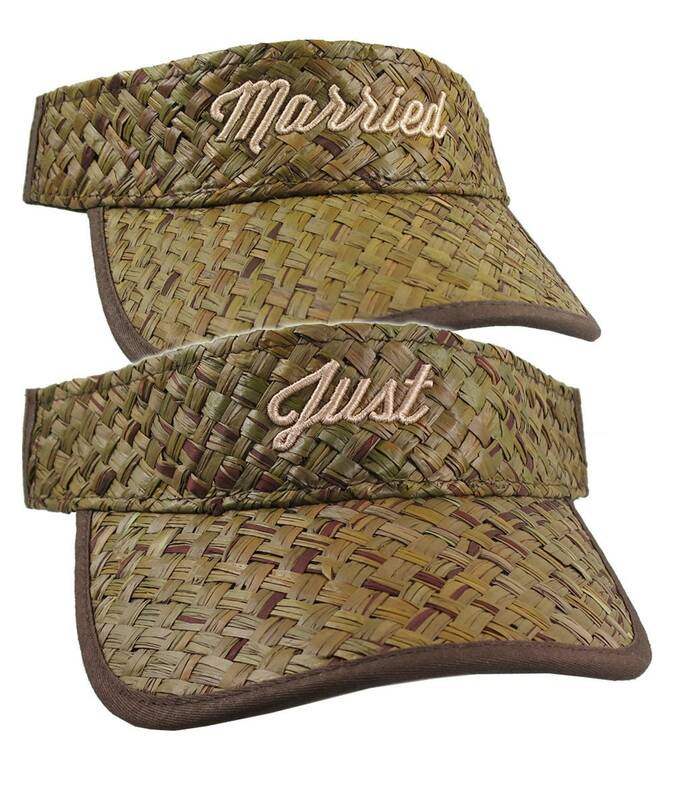 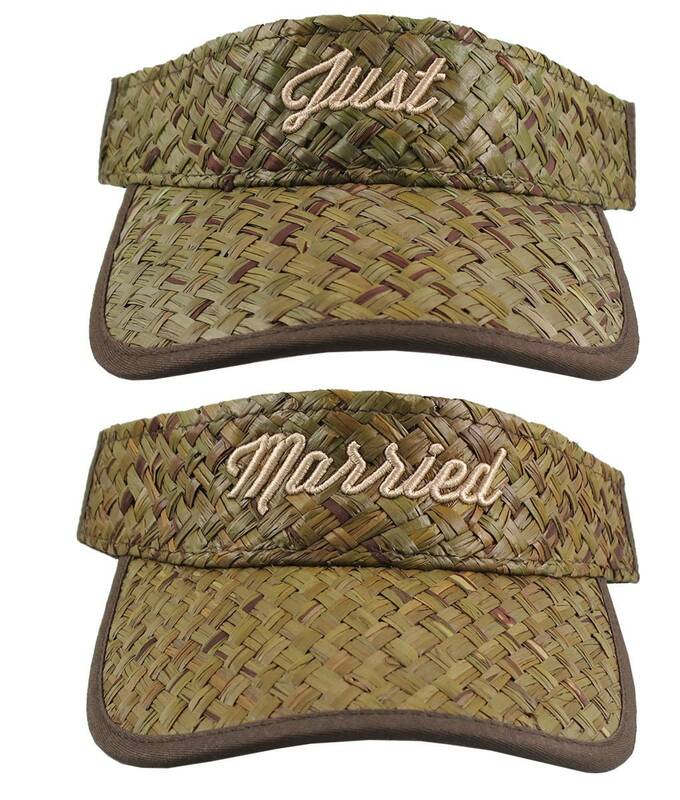 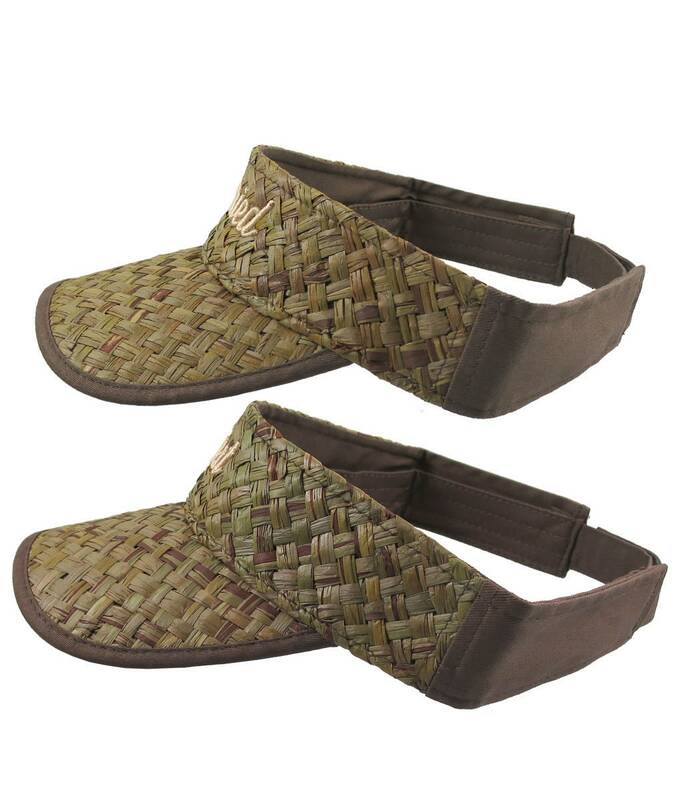 A custom Just Married 3D puff raised embroidery in beige on a pair of adjustable comfy, olive green fashion straw visors. 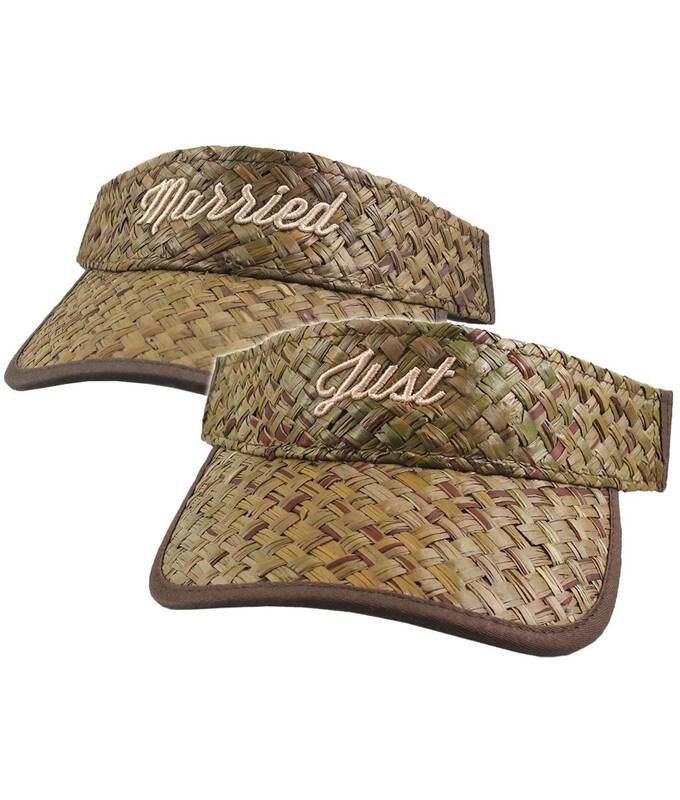 These summer hats are sure to make an impression on or off the alley. 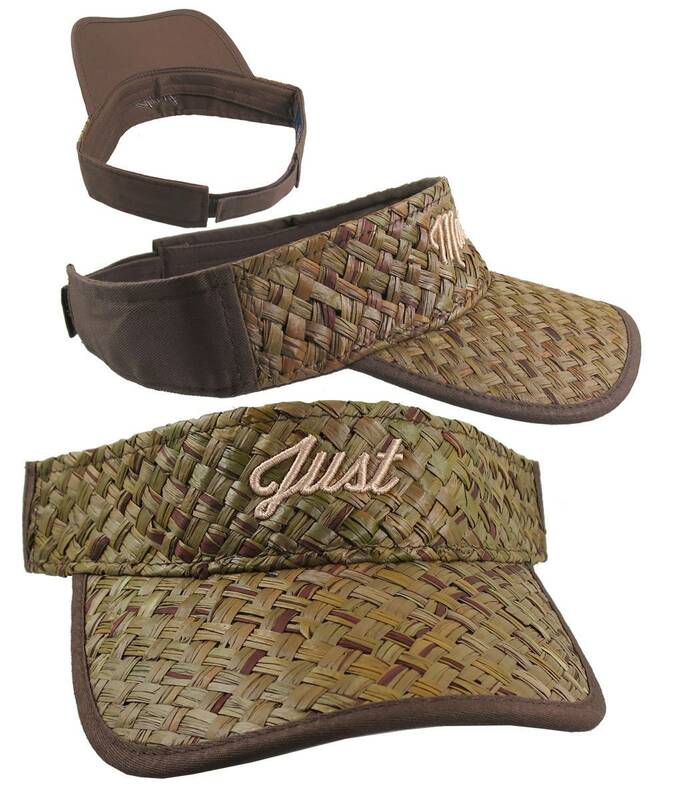 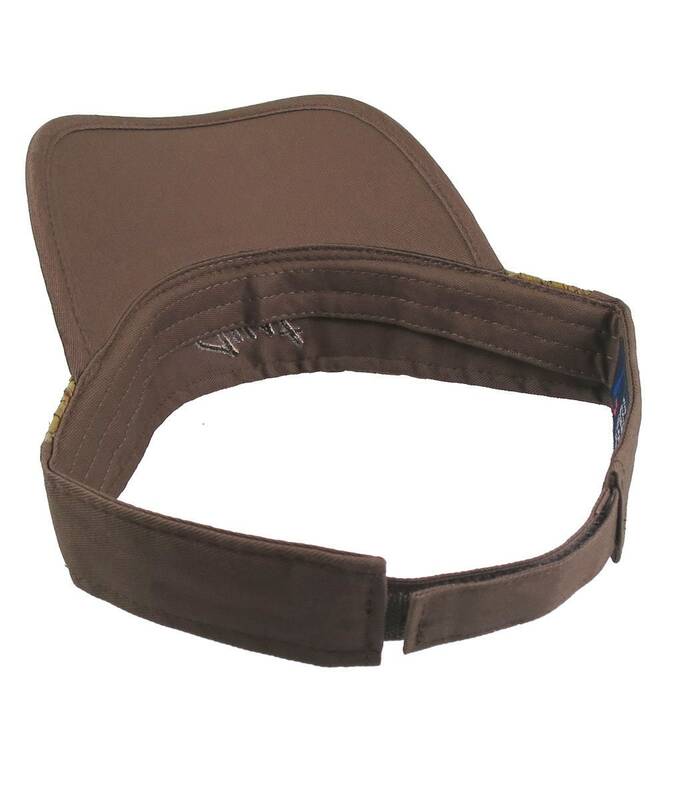 You get the 2 visors for this price.